US website www.motorcycle.com has selected scooters from the Piaggio stable to share honours in its "Best Of" awards. If you're after a blue-chip tourer or a machine with street-smart urban flair, there's a maxi scooter in the Piaggio family for you - whether it's a two-wheeler or one of the revolutionary three-wheelers. 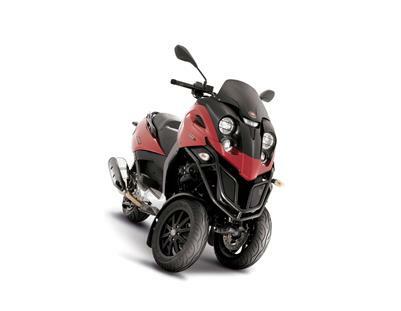 The Gilera Fuoco 500ie, which shares the same technological platform as the revolutionary Piaggio MP3, is now on sale in Australia at $12,990 (plus ORC). Two new maxi scooters are now on sale in Australia: the Gilera Nexus 500 and Piaggio X8 250ie. The sportiest scooter of all time speeds further ahead.